The Walt Disney World Resort has released a new offer for Annual Passholders for the 2017 Fall and Holiday seasons. With this offer, you can stay right in the middle of the magic during these extra special times of year and enjoy rates starting as low as $79 per night, plus tax in a standard room at Disney’s All-Star Resorts, most Sunday through Thursday nights from October 29 through December 9, 2017. Other great rates and Resort hotels may be available from October 8 through December 24, 2017, as well. Walt Disney World Resort is full to the brim with brand new entertainment, seasonal surprises, and festive decorations during both the Fall and Holiday seasons. Take advantage of your annual pass and explore popular must-sees like Pandora – The World of Avatar at Disney’s Animal Kingdom and the spectacular ‘Happily Ever After‘ fireworks spectacular at Magic Kingdom. 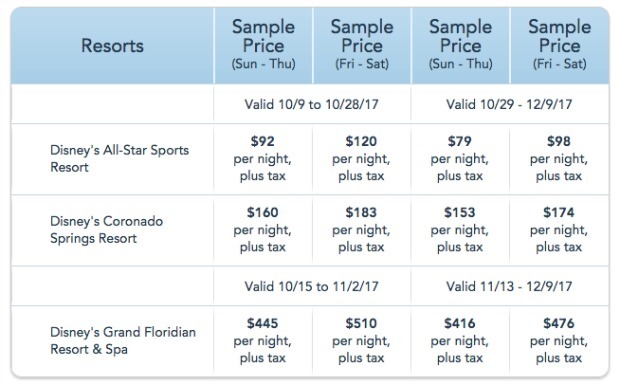 Here is a look at some sample rates that are valid for stays in a standard room or studio during the dates specified in the chart below. The number of rooms allocated for this offer is limited. A length of stay requirement may apply. This offer can be booked through December 24, 2017. 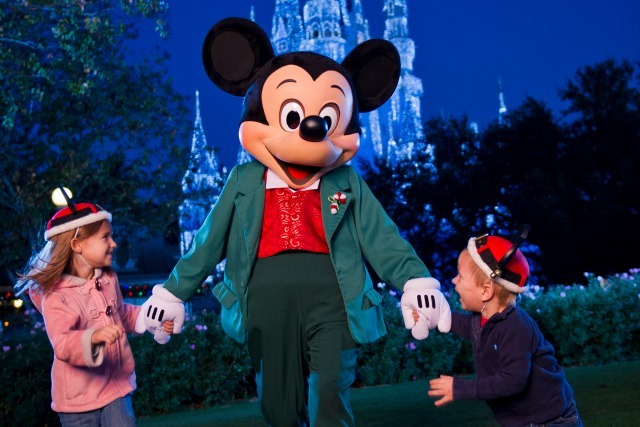 For your free, no-obligation quote on your next Walt Disney World vacation, visit DreamsUnlimitedTravel.com.